Business icons, set of 20 various business symbols with a colorful circles backgrounds, download layered and editable vector AI format. 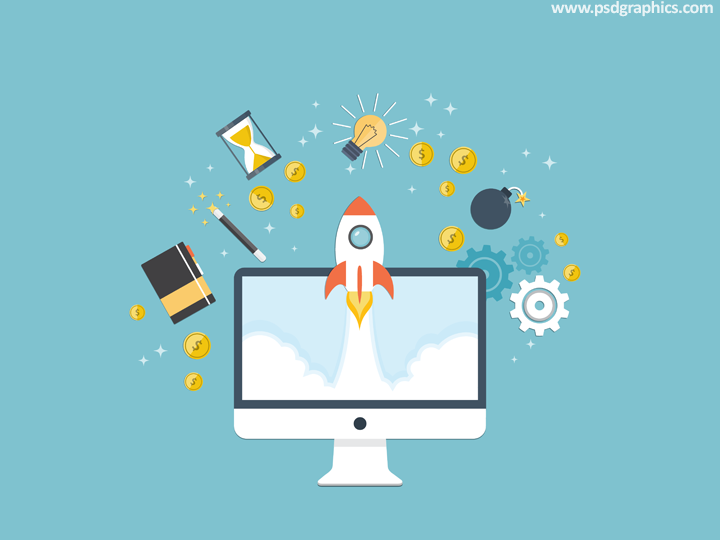 Business start up illustration, a computer screen with rocket, coins, gears, hourglass etc. Flat style graphic in vector format. Wristwatch icon in PSD format, flat style orange and yellow analog hand watch. Time and alarm symbol. Think green and ecology concept, get PSD source with a layered elements. 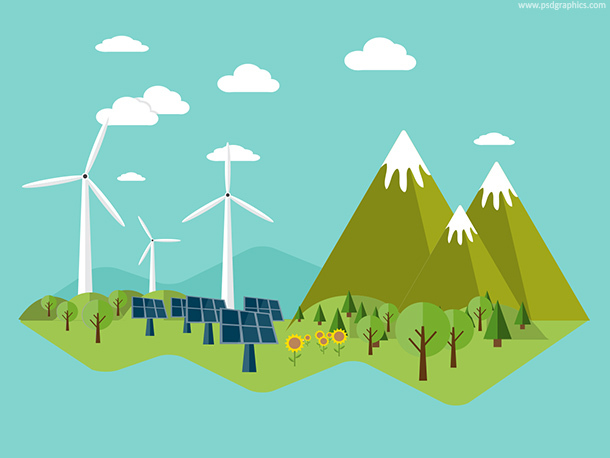 Flat style graphic with a green nature and windmills and solar panels.